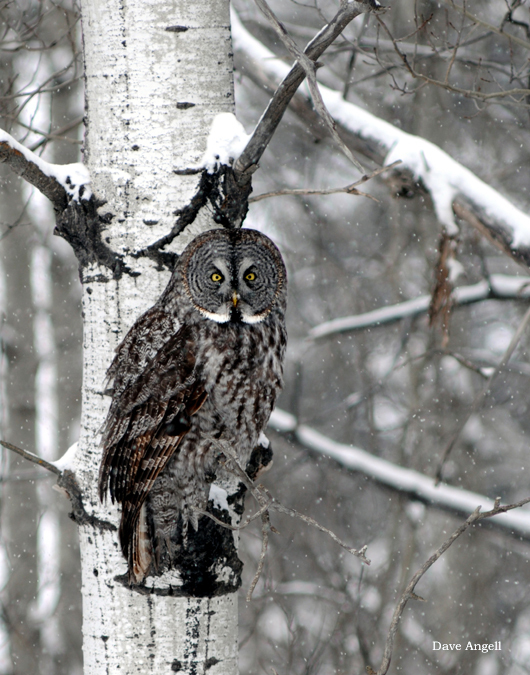 The great gray owl is slightly larger in size than a great horned owl. They typically live and breed in the far north. This owl was photographed in Canada.